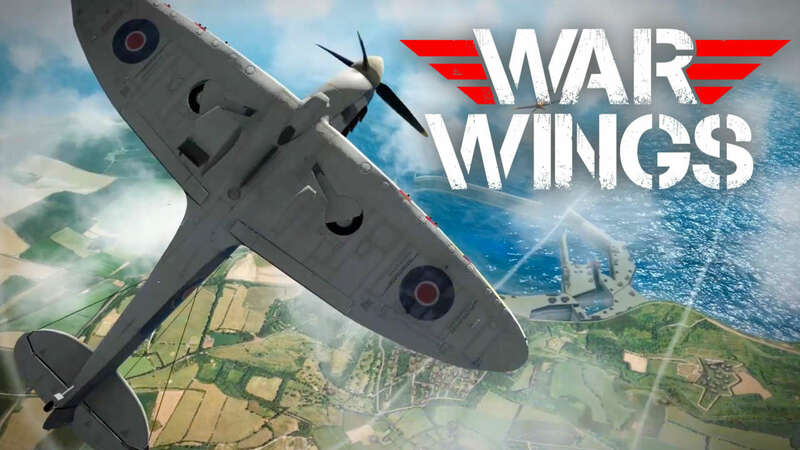 War Wings takes players and throws them right into the cockpit of World War II fights in the middle of epic dogfights where players will need to take on others around the world to see who is the best pilot. If you’re new to the game, then you’re going to have a tough time getting the hang of things, and this guide will point out a few helpful tips that will help you get the hang of things as you dive in. One of the first things you need to do when getting into War Wings is make sure you learn how to utilize your Jaeger and Godview options. These will give you a nice view of the battle around you, so that you can see where your enemies are. You’ll also see detected enemies on the radar, where you’ll be able to tap on them to select them. This will lock on to them, allowing you to turn your camera to face them. This is really useful for helping you plan your attack strategy, which you’ll definitely need to do quite often in War Wings. After you start firing on your opponent, you’re going to want to try to make the most of every shot. One of the best ways to do this is to aim for the weak points. In fact, aiming for weak points is going to be what really helps make your time in the game. If you aim for the cockpit, you’ll be able to inflict bleed on the enemy pilot, which will cause them to take damage until they die. Of course, this can be remedied by first aid kits, which will heal the pilot and stop the bleed. Another great weak point to aim for is the wings or body of the plane. This can cause different parts of the plane to catch fire. While this is a bit different than the bleed effect placed on pilots, it will cause damage to the plane slowly over time, which can weaken your enemy. If you want to shut down another pilot, then the best way to take them down is to damage the fuselage of the plane. This will cause a gas leak, which will dramatically decrease the enemy’s boost, braking, and overall maneuvering. The final tip we’d suggest is to always make sure you are working with your team. This will help ensure your victory against the enemy team. If you really want to take your enemies down quickly, then the best way to do that is to work together and focus your team’s fire as much as possible. This will increase the speed at which an enemy plane is taken down, allowing you to move on much faster. If you use these tips, you should find yourself getting along quite nicely in War Wings. Take your time, plan out your strategies, and be sure to work with your team to get the job done and bring home the victory.